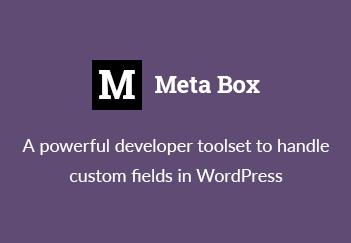 I’m happy to announce that the version 3.2 of the Meta Box Script for WordPress is released. If you cannot wait for the explanation, head over to the project page and get the latest version now. This version comes with some major changes, some improvements in code and bug fixed. When I looked into the code in earlier version, I realized that the code is messing up as many features are being added over the time. And because the JS code is complicated so separating it into another file is a good idea. To do so, I tried to modify the JS code to make it more general (some functions required field ID before). I also changed the HTML markup to include some additional CSS classes that needed for the JS. As you can style the fields now using CSS file, there’s no reason to keep the style attribute of fields. So I removed it. You don’t need to upload each image, click the button “Insert into post” for it, and then upload another image and insert, and so on. Just upload all images you need, and add them at once. You can use this feature in both new uploaded images and in Media Library (or Gallery). Note that you also can reorder images in the Media Library before inserting them. The reordering images still works but it may affect on the order you’ve set. allow to use file uploader for images as well, someones don’t like the image uploader! when delete uploaded images, they’re not deleted from the server (in case you insert them from the media, not the uploader). Also remove hook to delete all attachments when delete post. This may fix some un-wanted action. Look here. fix image uploading when custom post type doesn’t support “editor”. Many people met this problem, it looks like the “famous” one. fix bug when save meta value = zero (0), this was a silly bug! These bugs are reported by so many users and developers, who love this script! I want to give big thanks to them. If you posted any bugs in this blog and haven’t receipt any reply or updates or fixes, don’t worry because I always track all your comments here, and note all your reports. The no updates means I haven’t got a solution for this problem. And I really need help from WP developers (maybe you?). So, I think this’s enough for this version. You can download the script at the project page. And if you like it, don’t forget to buy me a beer! Why not release this as plugin ? Hi, first of all thanks for this wonderful script. But does anybody have an idea why when I try to delete or to reorder images I get “You don’t have permission to reorder images” message? Any reason why the image upload checkboxes take a while to appear? Or is it because the images are still being uploaded even after they appear all ready? They don’t take a while to appear. They appear when you hover the Insert button. I have no better way to show them when upload completed. Excellent update, everything works great and love the bulk image uploader, it makes uploading several images much easier. There is one bug that I cannot figure out, when I upload an mag and click insert on post, the preview thumbnail is broken in your “screenshots” module but when I publish or update the post the image preview thumbnail is there, I’ve checked the code and there are two different functions for this, and the one to display right after the image was inserted is the one that is not doing it. Can you help me with this? I’ll be more than happy to pay for your services to get this working correctly. When you click on “Add more images” and select an image does not add it to the post. PS. On localhost after you delete a picture, save the post and re-add a picture, no picture, I must add a second time. Any chance it can work for specific post id’s like this one? Will you be updating it for the new media uploader once its introduced in the WordPress? 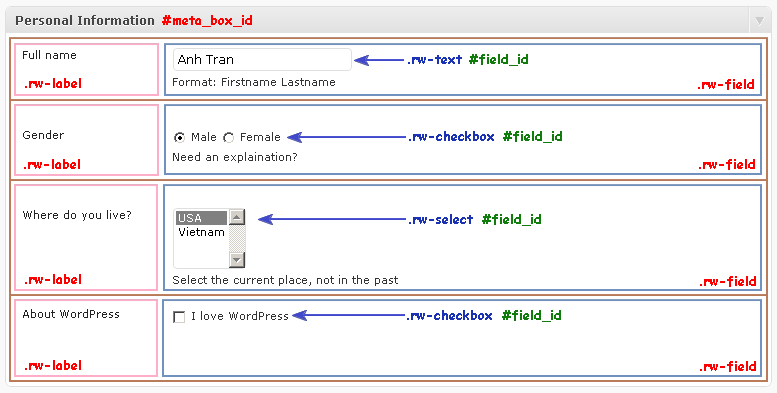 I was wondering if there was anyway to use the meta box script to add custom fields to the user profile? Short answer, NO. Because user profile and post editing pages are using 2 different API to save information. I hope in the future, I can do this. where to download this 3.2 version? thanks.